Paris and Tokyo have never been closer. These are the days of the nouvelle vague for chefs born in Japan and French by choice. Raised at the court of masters such as Alain Ducasse and Joël Robuchon, in their restaurants they do not prepare sushi or sashimi, but give a new, creative interpretation, with an oriental twist, to western flavours and ingredients. 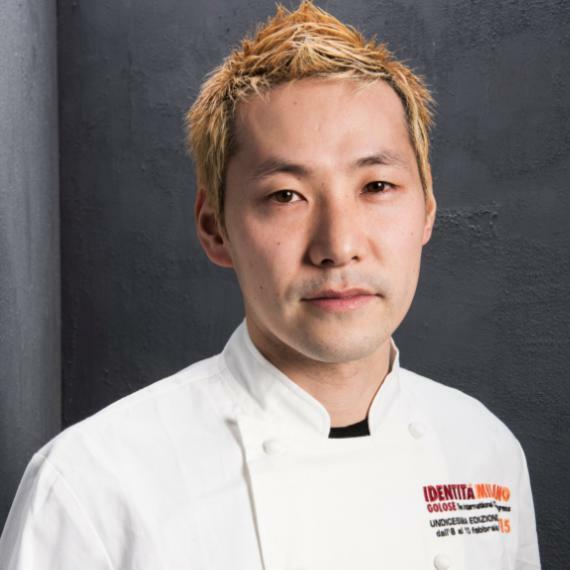 Some are enfant prodiges like Kei Kobayashi, born in 1977, struck on the way to Damascus at the age of 15, after watching a television show on Alain Chapel (who died in 1990) one of the most important chefs in his generation, a top representative of nouvelle cuisine, a milestone in the history of cuisine who with his balanced style, aiming for the enhancement of products, was a point of reference for many. Kei, however, is an enfant with a sound training since when he left Japan, at 20, he went to France where he shaped his talent first at the Auberge du Vieux Puit in Fonjoncuse (3 Michelin stars), then at Le Prieuré in Villeneuve-lès-Avignon (1 Michelin star) and then at Le Cerf in Marlenheim (2 Michelin stars) until completing his education by spending 7 years – from 2003 to 2010 – at Restaurant Alain Ducasse in Plaza Athénée in Paris (3 Michelin stars) under the direction of Jean-François Piège and Christophe Moret. Watching Kei in the kitchen, as he cuts, slices, chops vegetables, cooks and then assembles everything in the dish, mixing Japanese poetry of colours with French research for a balance between flavours and textures, is wonderful. «Here we can have fun, by subverting the rules of classic gastronomy», he explains: «French cuisine is made of additions – sauces, raw materials – while Japanese is minimalist, it moves by subtraction. If one ingredient is not necessary, you remove it». In France Kei found his ideal home. «Japanese society has a very rigid hierarchy, there’s a tendency to homologation which I don’t like. In Paris, instead, I can experiment freely, I adore this spirit». Since 2011 Kobayashi is the patron of the restaurant named after him, right in the centre of Paris, a few steps from the Louvre.